It was at the party of a mutual friend where Matt McQuilkin and Jim Chapman first saw a hole in the Missoula coffee market and had the idea to start their own coffee roastery together. “It was one of the few plans made over beers that actually comes to fruition,” says McQuilkin. 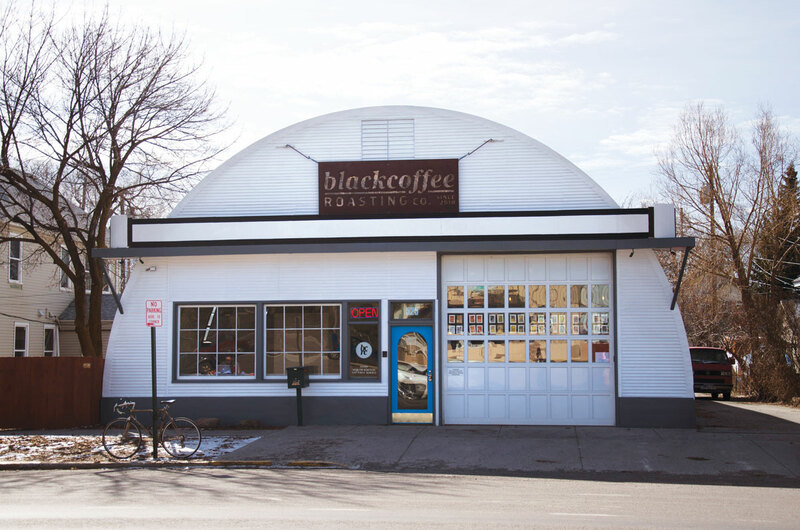 Chapman and McQuilkin hatched their plan in the fall of 2009, and by the following summer, Black Coffee Roasting Company was born, offering organic coffees to Missoula’s burgeoning coffee connoisseur community. The city is a prime contender for a quality coffee scene. Missoula is a liberal, artsy, outdoorsy, university town of 60,000 nestled in a Rocky Mountain valley. Subarus and Toyotas line the streets, wielding bumper stickers proclaiming “Keep Missoula Weird” and “Know Your Farmer.” Some people joke that Missoula isn’t really part of Montana at all. They began in a garage with a small roaster that they used during evenings and eventually expanded into their first location, the corner of a building that houses a store selling recycled construction materials. This past fall they finally outgrew their old space and moved into much larger digs, a 5,000-square-foot Quonset hut at the crossroads of Missoula’s high-end Rattlesnake and more low-key Northside neighborhoods. “We need industrial but we also need proximity,” McQuilkin says of the location. Unlike their old location, this one is just a five-minute walk from downtown Missoula, where most of the city’s best restaurants, bars, and cafés are. 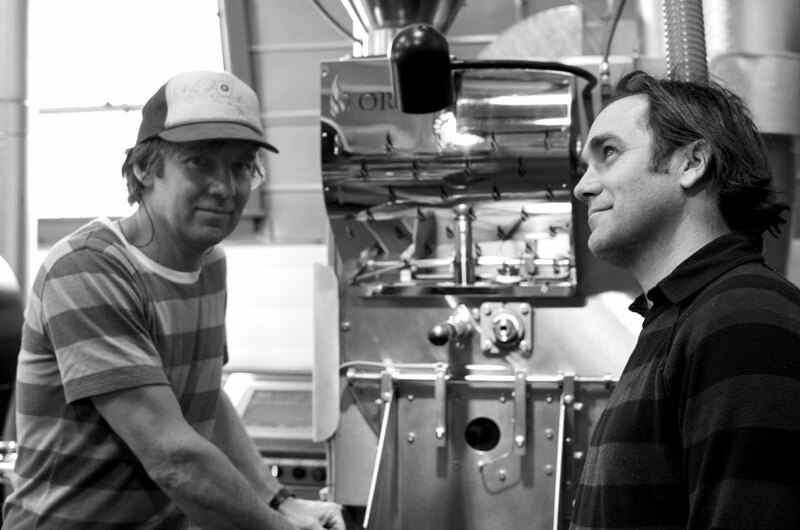 Black Coffee Roasting Company owners Jim Chapman and Matt McQuilkin. In determining how to design their new location, they decided to embrace the space. “We really wanted to draw attention to the fact that it is this large space, but make it feel warm at the same time,” McQuilkin explains. Tons of natural light pours through the garage door that is now made entirely of windows. The furniture is minimalistic and modern, metal and wood, and from your seat you can see all the way to the back, where massive bags of green beans are stacked on pallets, waiting to be roasted. 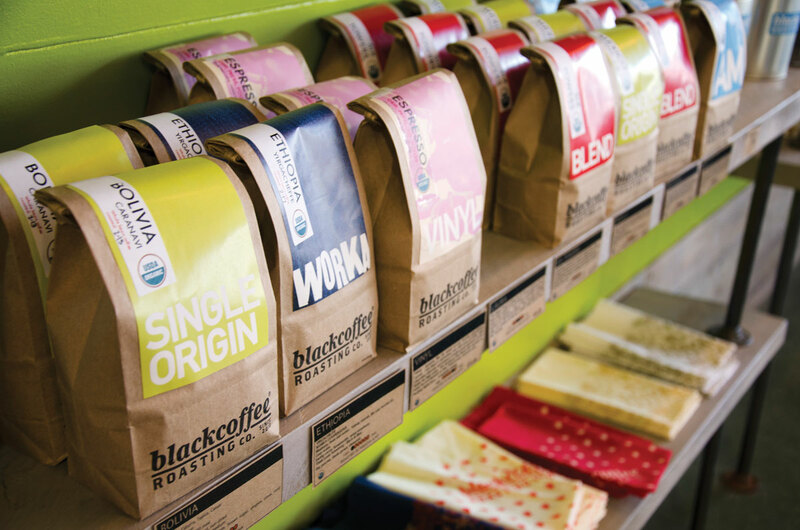 The counter includes a pour-over bar with four white Hario V60 drip cones and taps for cold-brew, shrubs, and kombucha. And for better or worse, unlike most modern cafes, Black Coffee has no WiFi, meaning you may want to bring a book, or even a friend. 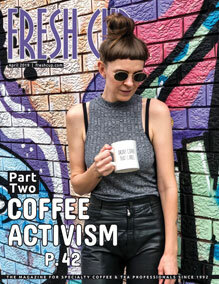 Chapman and McQuilkin are Black Coffee’s only roasters, and you can find at least one of them roasting pretty much every day of the week. “We approach every bean separately,” explains Chapman. He compares the coffee roasting process to that of making wine. They post-mix their blends, the way a vintner would with wine. Even coffees from the same region are treated separately, and every time a new batch comes in, the experimentation for the perfect roast starts all over again. 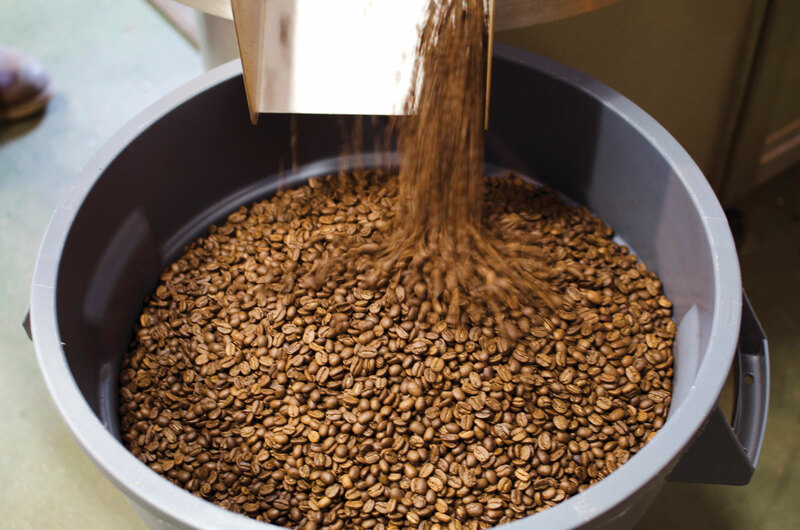 “We take the time with each bean to roast it to make it taste as good as it possibly can,” says McQuilkin. Black Coffee uses two roasting machines; a twelve-kilo Diedrich from nearby Sandpoint, Idaho, which they use mostly for trying out new beans and figuring out optimal times and temperatures, and a thirty-five kilo Loring roaster. 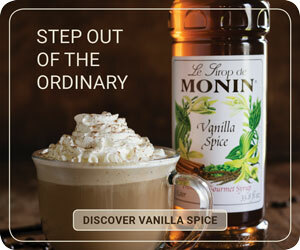 The coffee at their location has usually been roasted only one to three days before it gets sold. Once they’ve gotten their single-origin and blended coffees roasted to perfection, they leave it to their baristas, who are friendly and knowledgeable, happy to answer the most basic of coffee questions. 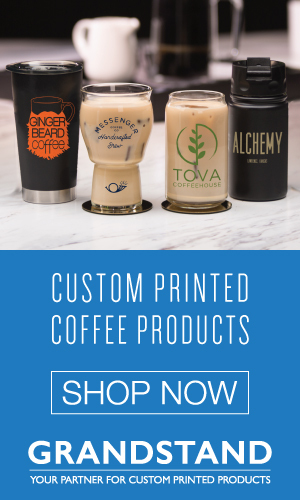 When you order your latte or mocha, they offer a rotating choice of four of their many blends and single-origin beans, plus a decaf option. Perhaps a Peruvian americano, a Vinyl cappuccino, or an AM Blend latte, all pulled on their La Marzocco Linea. 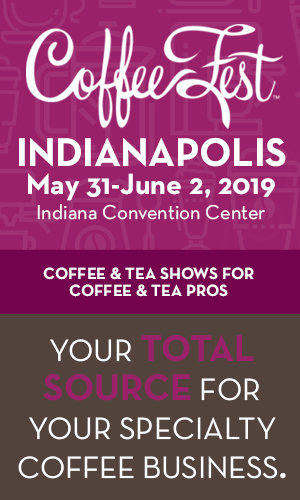 Since they began Black Coffee nearly five years ago, McQuilkin and Chapman have noticed the increased demand for good coffee. “Coffee’s not just coffee anymore,” Chapman says. Their menu embraces that change. —Stephanie Parker is a freelance writer and photographer based in Missoula.